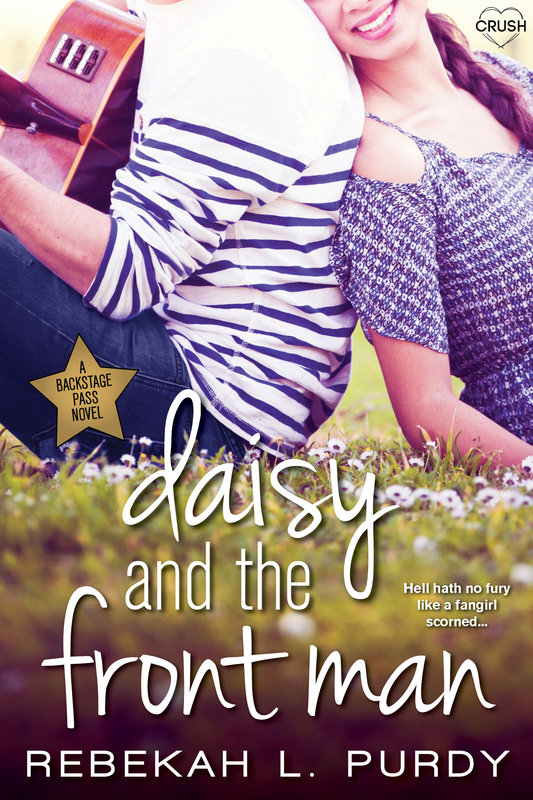 At long last, Daisy & the Front Man, book #3 in the Backstage Pass series is out! This book features Trevin, Miles’s best boy band buddy (from book #1 (my book!) Aimee & the Heartthrob), and Daisy, the girl he done wrong. Don’t you just LOVE a good revenge story? Need it now? Sure ya do! Chick HERE! And don’t forget to check out the whole series HERE. “Come with me for a minute—I have something I want you to hear.” Trevin ushered her to the deck that wrapped around the back of the house. “Have a seat.” He pointed to a lounge chair. remake it yet.” Trevin strummed the chords then started to sing. He watched Daisy’s eyes light up and his chest warmed. At first, he thought this might be a great gesture to win her over for the bet, but seeing how it was affecting her now, he realized he was doing it for her. Not just to beat Ryder. “Haven’t you heard, I’m stuck on you, my heart beats only for you…” When he finished, she just stared at him. Like she didn’t recognize him. “Did you like it?” He set his guitar back in its case. She nodded, her eyes welling. Trevin touched her cheek, wiping away the stray tears that trickled down. His finger pushed strands of hair from her face as he pulled her against his chest. Her body trembled against his as she cried, and all he could do was hold her. “Shh…it’s okay,” he whispered softly. She clung tighter to him, and he let her. She felt good in his arms. Soft. Warm. Perfect. His palms stroked her back, her bare leg pressed against his. His lips brushed against the top of her head, so lightly, he didn’t think she felt it. But she tilted her large brown eyes up, until they met his. And in that moment, he saw a lot more than he wanted to. Her pain. Her hope. Her trust. And it nearly destroyed him. I will share your article to Facebook and Twitter!